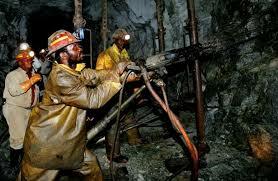 After South Africa, Ghana and Mali Tanzania is the 4th largest gold producer in Africa. The mining industry has experienced an estimated 8.5% growth in 2018 to stand at an estimated valued of USD 960 million, compared to last year’s growth of 3.09% and a value of US$ 880 million. 40% year on year (y-o-y) increase in gold output in 2018 was projected by one of the largest mining companies Acacia mining in the country which is expected to bring about a 3.6% growth in the sector. However, the forthcoming closure of closure of the Buzwagi Gold Mine operations is predicted to affect the market growth projections for a short term. Tanzania is endowed with vast quantities and different types of resources whose extraction has been central to the country’s economic growth. In Tanzania mining is one of the leading sectors, with the value of mineral exports increasing each year gold, iron ore, nickel, copper, cobalt, silver, diamond, tanzanite, ruby, garnet, limestone, soda ash, gypsum, salt, phosphate, coal, uranium, gravel, graphite, sand and dimension stones are leading minerals. 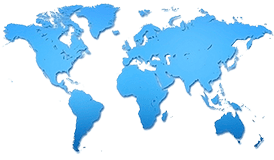 The largest foreign investor in the industry in Tanzania is the United Kingdom followed by India, China, Kenya, USA, Netherlands, South Africa, Canada, Germany and Oman. An increase in demand for some raw materials will be experienced due to political populism, higher commodity prices and the expectation electrification this has led resource-holding governments to change the rules for miners operating in their countries.Rather than all-out resource nationalism Governments are seeking to increase their share of profits, in most cases, although, Mongolia has been trying to nationalize a stake in a copper mine. The toughness is not universal. Regarded as an extreme example would be after the President of Tanzania John Magufuli swept to power in late 2015, Tanzania turned on their miners as the President pledged to secure a bigger share of the country's natural resource wealth. Tanzania, Congo and Zambia have been seeking more of the profits from copper, cobalt and gold. In the first instance, Lawyers and mining executives say that companies have become more careful about where they invest .After the Vale dam disaster in Brazil in January sustainability has shot to the forefront, the need to get all sections of society on side has increased. Tanzania has ordered all mineral-producing regions in the East African nation to set up government-controlled trading centers by the end of June to accelerate the efforts to curb illegal exports of gold and other precious minerals.